What do chicken pox, candy and compromise have to do with drinking? EVERYTHING in Carolyn Hannan Bell, M.S. , L.P.C. ‘s new books: “Mommy’s Disease” and “Daddy’s Disease”. In the late 1970’s I knew I had a “problem” with alcohol and drugs. I was alternately trying to control my intake and just giving in and giving up, drinking and drugging all the more. I tried Antabuse but my drug use skyrocketed. Economics alone “drove me to drink” and I quit the Antabuse but not the abuse. At that time the counseling center where I got my prescription didn’t offer me other “ism” prevention programs such as AA, NA, the AlAnon family groups or any others. I was still in the disease; my kids were suffering too. I knew this. I knew this because I had had an alcoholic parent. I didn’t understand the disease then and my two little tots didn’t either. In order to understand it better, I tried to write about it and eventually sent a book off to “New Seed Press” one of the pop up local small publishing companies of the time. Thank goodness they rejected my choppy and unseasoned try at “My Mommy Drinks Too Much”. Cry for help? You bet. Now, many years later, Carolyn Hannan Bell, M.S., L.P.C. 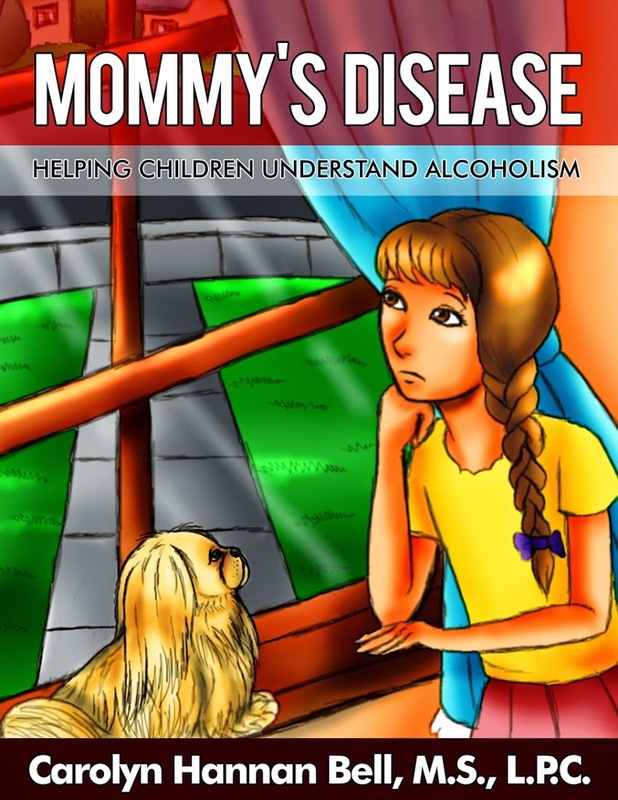 comes upon the scene with these two books, “Mommy’s Disease” and “Daddy’s Disease” that lead both the reader AND the listener on a journey through understanding the disease of alcoholism. Drawing parallels between the child’s personal experiences and the symptoms of addiction, the parent is able to bring the discussion to the level of a child’s understanding without talking down to the kid. This makes the lesson “hearable”. Short enough to be read in a sitting but full and long enough to take time in moving from one aspect of the disease to another, the author draws on age appropriate childhood experiences to help the kid gain an understanding on a personal level about what the disease is all about, in a way that the 7 year old can understand. I look forward to further books that can explain how an ongoing relationship with an active drinker can be managed, and one that can both deepen the understanding of the disease – the brain disease of both the parent with the addiction and the damage that can occur in the parent / people DEALING with the addiction; the co-addict who suffers from second hand drinking. And, hopefully, sometime a book about “My Parent is in Recovery; What Do I Do Now?, a whole other journey for the family. Hannon Bell, please keep writing and keep the conversation going. 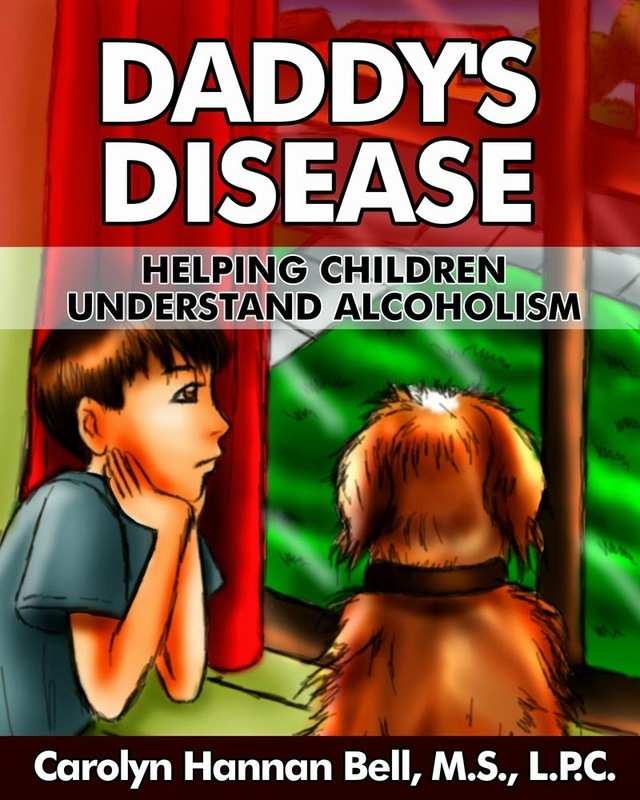 I recommend this book for ANY family member, not just the children of an active alcoholic. I also recommend this for stages of recovery where these concepts could use reinforcement. I don’t know about you, but I have a “forgetter” and need occasional reminders that this IS a disease and that it is NOT personal. Carolyn Hannan Bell’s book is reviewed on WHYY in Philadelphia by Daniel Gottlieb. She also appears on Monty Dale’s Take12radio.com . More about Hannan Bell and her work can be found on her website http://www.alcoholismhurtskids.com/.